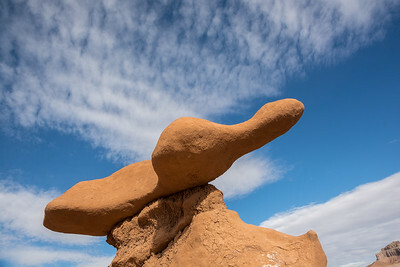 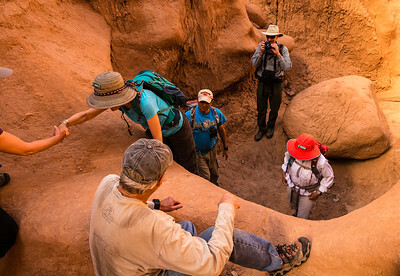 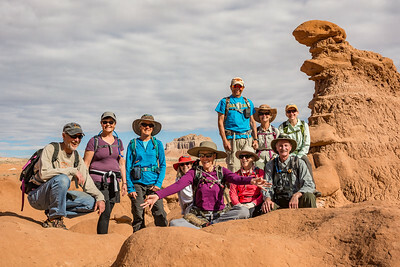 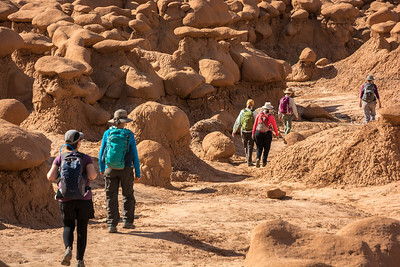 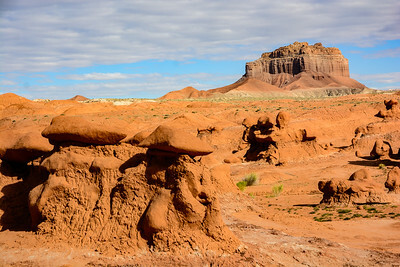 At the beginning of May, we joined others from the San Juan Outdoor Club for a camping/hiking trip to Goblin Valley State Park near Hanksville, UT. 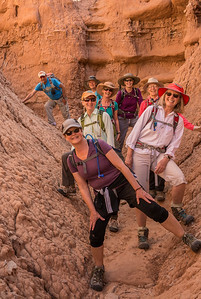 Besides hiking through the goblins in the park, we also hiked 3 canyons slicing through the San Rafael Reef. 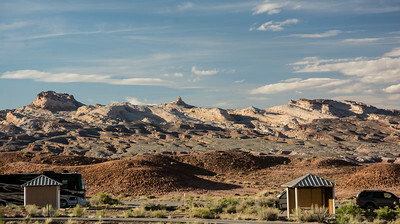 After arriving at Goblin Valley State Park and setting up our tent, this is our late afternoon view of the San Rafael Swell across the campground. 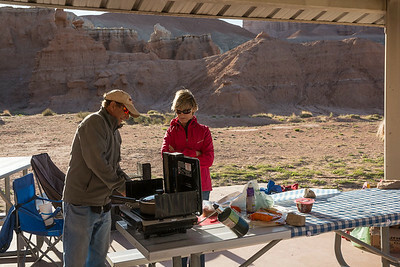 Jeff and Jan making diner under the spacious group camp shelter. 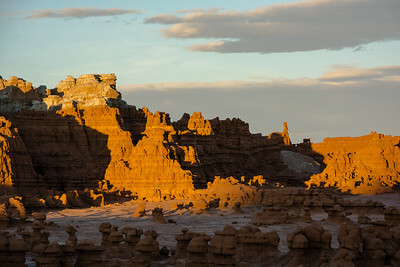 After dinner, Sue and I took a short walk through the Goblins. 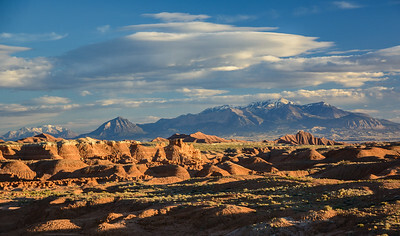 This is a view of the Henry Mountains behind the area. 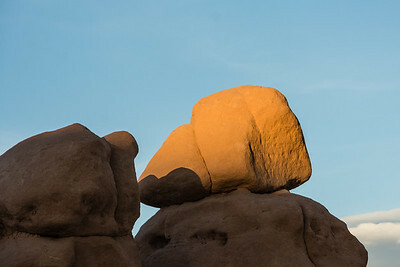 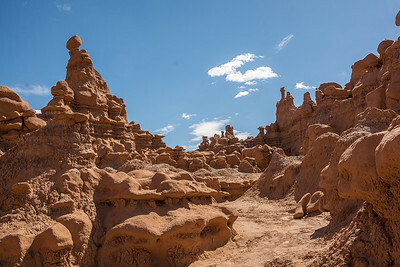 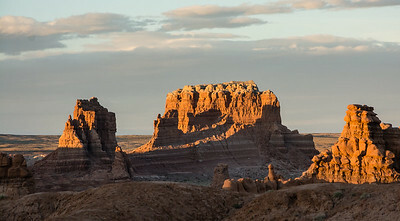 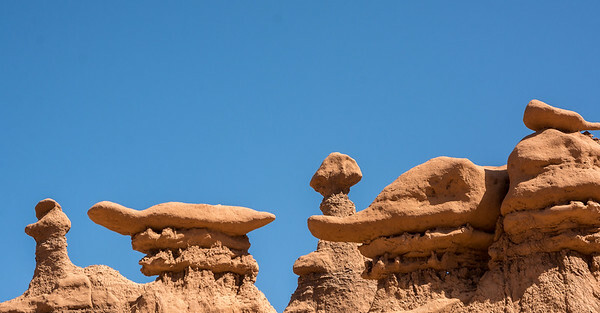 The entrada cliffs, birth place of the Goblins. 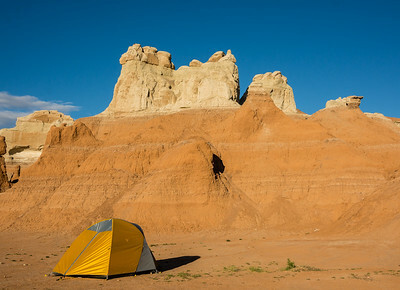 Our first morning in Goblin Valley, our tent site is rather spare and shadeless, but great views! 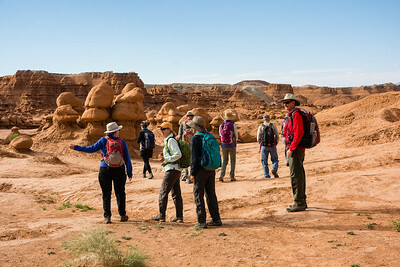 For our first full day of hiking, we decided to hike among the goblins, as several people in the group had not seen them before. 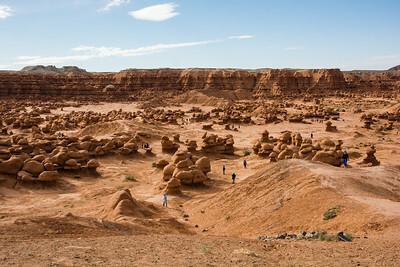 Sue and I had been here previously in 2011: http://www.4cornerslight.com/Trails-Travel/2011/Goblin-Valley/. 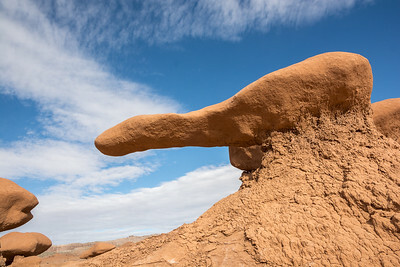 Sea creature out of water? 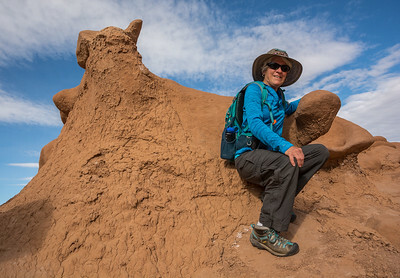 Sue will tell you: it's hug a goblin day! 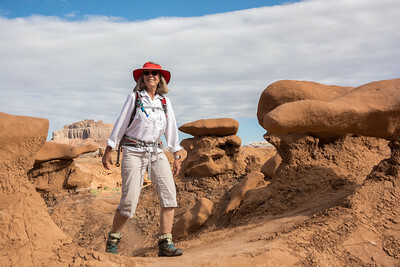 Yoga in the goblins, as Roz does her best to encourage us to lead healthy lives! 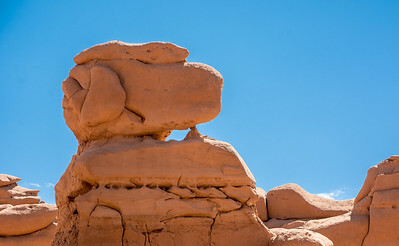 Snoopy, the WWI flying ace! 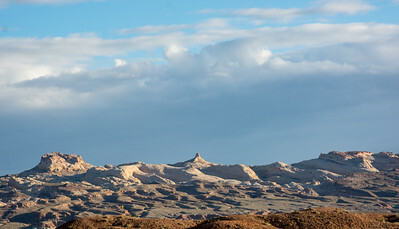 After climbing to the eastern summit of the entrada cliffs, we look down on more goblins, the San Rafael Desert, and the Flat Tops in the distance.